BlackRock, Inc. has declared quarterly dividend of $3.1300 (+8.6810% increase). It goes ex-dividend on 09-06-2018 and is payable on 09-24-2018. BlackRock, Inc. has 8 years of consecutive dividend increase. National Retail Properties Inc is a real estate investment trust that invests in and develops properties throughout the United States. Most of the company's properties are located in the Midwest, South, and Southeast of the United States. National Retail Properties has declared quarterly dividend of $0.5000 (+5.2630% increase). It goes ex-dividend on 07-30-2018 and is payable on 08-15-2018. National Retail Properties has 8 years of consecutive dividend increase. Morgan Stanley has declared quarterly dividend of $0.3000 (+20.0000% increase). It goes ex-dividend on 07-30-2018 and is payable on 08-15-2018. Morgan Stanley has 4 years of consecutive dividend increase. Western Gas Partners, LP is engaged in gathering, processing, compressing, treating and transporting natural gas, condensate, NGLs and crude oil for its subsidiaries as well as third-party producers and customers. Western Gas Partners has declared quarterly dividend of $0.9500 (+1.6040% increase). It goes ex-dividend on 07-31-2018 and is payable on 08-13-2018. Western Gas Partners has 10 years of consecutive dividend increase. Stanley Black & Decker has declared quarterly dividend of $0.6600 (+4.7620% increase). It goes ex-dividend on 09-06-2018 and is payable on 09-18-2018. Stanley Black & Decker has 50 years of consecutive dividend increase. Bank of New York Mellon has declared quarterly dividend of $0.2800 (+16.6670% increase). It goes ex-dividend on 07-30-2018 and is payable on 08-10-2018. Bank of New York Mellon has 5 years of consecutive dividend increase. 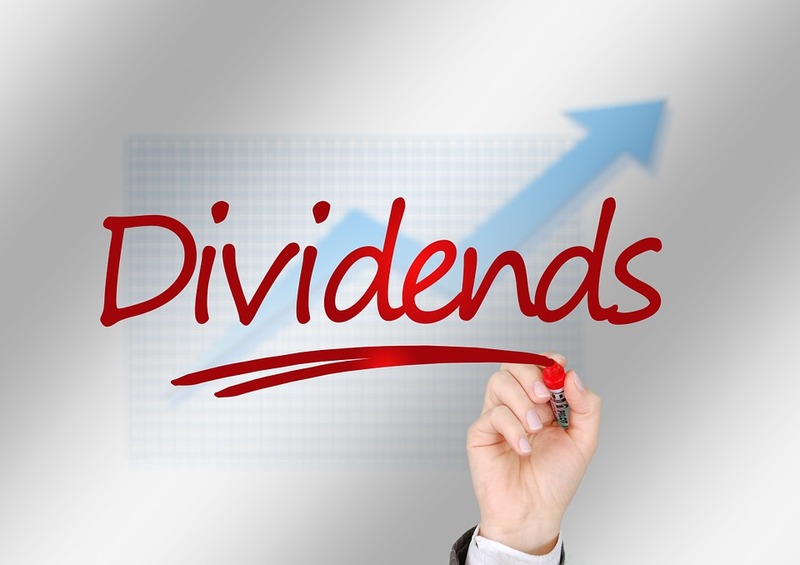 Discover Financial Services has declared quarterly dividend of $0.4000 (+14.2860% increase). It goes ex-dividend on 08-22-2018 and is payable on 09-06-2018. Discover Financial Services has 7 years of consecutive dividend increase. Penske Automotive Group has declared quarterly dividend of $0.3600 (+2.8570% increase). It goes ex-dividend on 08-09-2018 and is payable on 09-05-2018. Penske Automotive Group has 7 years of consecutive dividend increase. PPG Industries Inc is engaged in manufacturing and distributing coatings, specialty materials and glass products. It sells its products to a wide variety of end users, including the automotive, aerospace, construction, and industrial markets. PPG Industries has declared quarterly dividend of $0.4800 (+6.6670% increase). It goes ex-dividend on 08-09-2018 and is payable on 09-12-2018. PPG Industries has 45 years of consecutive dividend increase. State Street has declared quarterly dividend of $0.4700 (+11.9050% increase). It goes ex-dividend on 09-28-2018 and is payable on 10-15-2018. State Street has 7 years of consecutive dividend increase. 1st Source Corp through its subsidiary offers commercial, agricultural, and real estate loans, consumer services, trust and wealth advisory services, and specialty finance group services. 1st Source has declared quarterly dividend of $0.2500 (+4.1670% increase). It goes ex-dividend on 08-03-2018 and is payable on 08-15-2018. 1st Source has 32 years of consecutive dividend increase. Aqua America Inc is the holding company for regulated utilities providing water or wastewater services concentrated in Pennsylvania, Ohio, Texas, Illinois, North Carolina, New Jersey, Indiana, and Virginia. Aqua America has declared quarterly dividend of $0.2190 (+6.8290% increase). It goes ex-dividend on 08-16-2018 and is payable on 09-01-2018. Aqua America has 10 years of consecutive dividend increase. You had quite the list! The WTR was a nice mention here, as I had no idea they did this dividend increase. Thank you so much for sharing, love the weekly list. A lot of action, congrats on the increases dividend income! The increases are diversified across numerous sectors as well, which is a great indicator of the economy. Hi Dividend Geek, thanks for the extensive list of ideas - I'm going to work through each of these and see if any would be a good fit for the Global Fund!